When it comes to an old school voice that contains both a gravelly tone and a rich vibrato look no further than a voice like Lee Fields. It’s no surprise that with a sound like that, you find that Mr. Fields has been in the industry for over 40 years. Also known as “Little JB” because of his vocal similarity to the late Godfather of Soul, James Brown, Lee Fields is celebrating releasing a new album “It Rains Love” alongside his band The Expressions who he’s played with since 2009. Some people can sing while others are just born to. Music exists deep in their souls, their words exist to connect others. 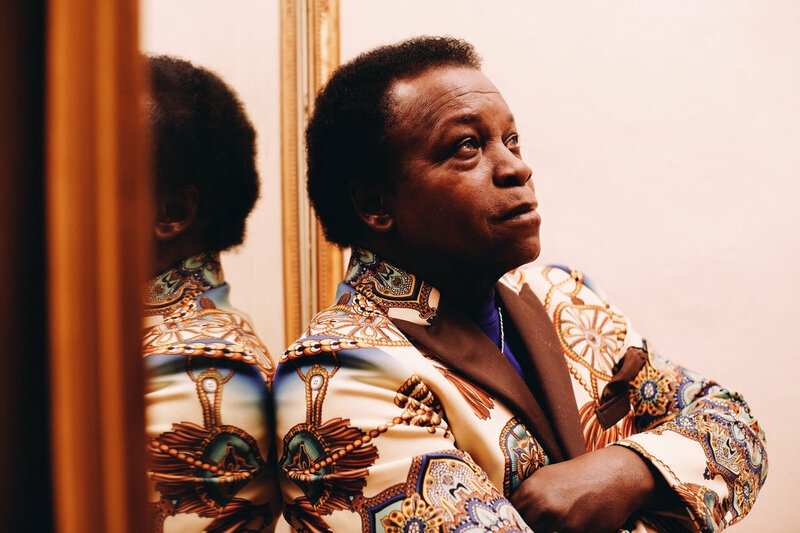 Lee Fields in one of those rare singers that is a masterclass in Soul, he’s someone who could choose to stay in the sound of the 60’s but his voice is so diverse that he runs the gamut of blues to political advocacy, to life and religion and God. It Rains Love is filled with heartfelt lyrics that really hit the core of the emotion without being too wordy, just relatable and ultimately, real. “I may not be the richest man/But I want to give you everything I can/I always try to do my best/When I fall short let love do the rest,” is a verse that speaks to so many and when sung with just raw power and a backing band, its intent is thoroughly felt. The reason that the music of the 60’s and 70’s always seems to resonate is because its content remains timeless in every sense of the word. From once being viewed as a time capsule to the realization that it also currently serves as our mirror, the sound cuts through the rest as you see socially how little has actually changed. The beauty of this is that songs in that style always sound contemporary and rarely ever dated. A comfort exists in the soul that composes ballads and tracks that have a universal appeal, that can evoke a memory by simply singing a tone. That’s why when it’s done by someone who was there during it’s initial growth, they make the impossible into a reality. So as spring awakens us to warmer breezes that caress the twilight, to blackened skies illuminated by endless starlight, this album is steadily positioning itself to be apart of the playlist that creates the seasons soundtrack. Lee Fields & The Expressions are proof that true soul never fades, in fact it only gets better as it ages gracefully with time.